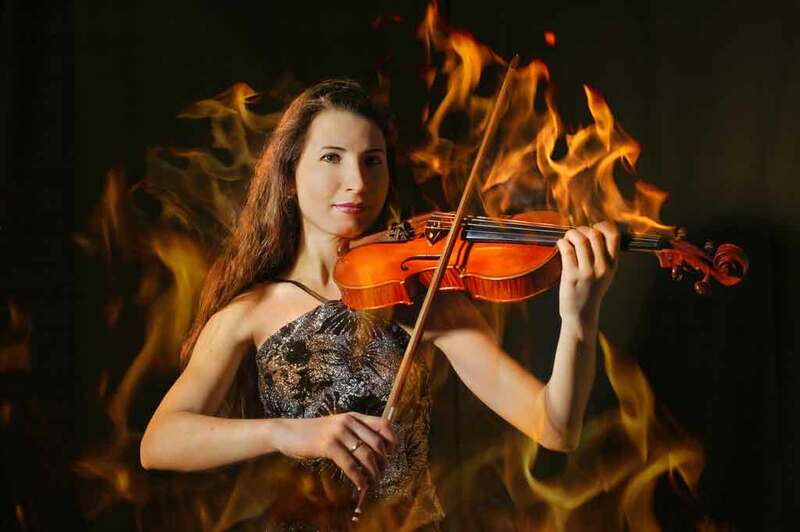 Arson & a stolen violin, etc., in Maine Twp. Police in Park Ridge, Ill., say a small fire in a women’s bathroom at Maine South High School on April 30 was an act of arson, and a violin was stolen from the band room at Maine East High School on May 1, the Chicago Tribune reports. Both schools are in Park Ridge and in Maine Township High School District 207. School officials put Maine South on soft lockdown when the fire was discovered, but security officers at the school reportedly extinguished it before firefighters arrived. Police have no suspects in the arson, which caused an estimated $1,000 damage to a bathroom stall. No one was reported to have been injured in the fire. As for the violin, police allege it was stolen Friday morning before 8 AM by a Maine East graduate who excelled in music. He called himself the “grand master,” the Tribune reported, and allegedly left graffiti around the campus laying claim to his outstanding musical ability. The 21-year-old was arrested and his bond set at $1,500. He’s expected to appear in court on June 12. For the second year in a row, all three high schools in District 207—Maine South, Maine East, and Maine West, which is in Des Plaines—earned spots on the Washington Post’s 2015 honor roll of “America’s Most Challenging High Schools,” the district announced on April 21. We don’t usually make much of these lists, but this one has always been one of my favorites, mainly because the formula isn’t very complicated. Post education columnist and blogger Jay Mathews uses a simple formula, dividing the number of Advanced Placement, International Baccalaureate, and Advanced International Certificate of Education tests given at schools each year by the number of seniors who graduate. Any result of 1.0 or higher earns a school a place on the list. Mr Mathews says less than 10 percent of US high schools make the list, so for all three high schools in the district to make the list two years in a row is something to hold high. And we do hold it high, right here. Congratulations to Maine Township High School District 207 on this achievement! I urge you to consider these lists with caution, though, especially since many schools on the list are selective-enrollment, or magnet, high schools. These schools fall under the domain of public school districts—in Illinois, they are primarily found in the Chicago Public Schools—but they don’t educate an entire community within geographic boundaries. Accepting only students who are doing AP work inflates their Challenge Index and makes some traditional public schools in our communities look like they’re slipping. Schools in District 207, on the contrary, aren’t slipping but excelling. “We are committed to serving every single student, regardless of need, every single day in the best possible ways, thanks to our great teachers, students, school leaders, and families,” Superintendent Ken Wallace said, expressing the pride his staff feels in the present accomplishment.